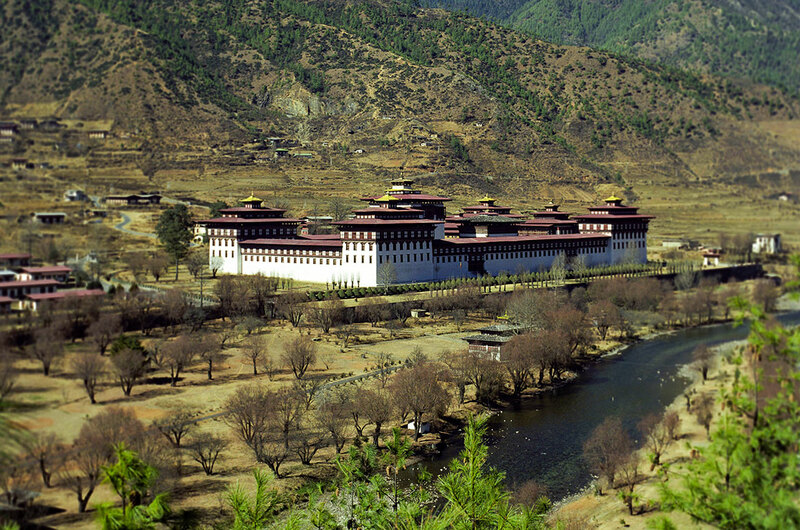 Rinpung Dzong, the large Buddhist monastery and fortress in Paro district. Adventure Bhutan, a virtual guide to the "land of the dragon", officially the Kingdom of Bhutan, a small, land-locked nation in Asia, located in the eastern Himalaya mountains south of China (Xizang - Tibet Autonomous Region), bordering the Indian states of Sikkim, West Bengal, Assam and Arunachal Pradesh, it is also bordered by Nepal and Bangladesh. The country controls several key Himalayan mountain passes. Bhutan occupies an area of 38,394 km² making it somewhat smaller than Switzerland or about half the size of the US state of Indiana. Bhutan's landscape is mostly mountainous with some fertile valleys and savanna. The country has a multiethnic population of 760,000 inhabitants (in 2015). There are three main ethnic groups in Bhutan, the Tshanglas (or Sharchop) are considered the aboriginal inhabitants of eastern Bhutan, the Ngalops, people of Tibetan origin who migrated to Bhutan, and the Lhotshampas, a group of Nepali language-speaking Bhutanese people. Official language is Dzongkha, a language closely related to Tibetan and Nepali. 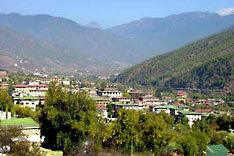 Capital and largest city is Thimphu. The Kingdom of Bhutan is a country with a strong ancient Buddhist culture and almost completely cut off for centuries to avoid foreign influences. Bhutan began to open up very slowly to outsiders in the 1970s. Tourism today is privatised by the Royal Government of Bhutan in 1991 but still restricted; travel is only possible as part of a pre-arranged package or guided tour. or Druk Tsendhen, "land of the thunder dragon"
Previously, various laws and Buddhist values guided the relationship between the state and the people. Constitution enacted 18 July 2008. Location: Southern Asia, between China and India. Area: 38,394 km² (14,824 sq. mi.) slightly smaller than Switzerland. Terrain: Mountainous, from the Himalayas to lower-lying foothills to plains with semi-tropical forest, savannah grassland and bamboo jungles. Nationality: Bhutanese. Note: The Bhutanese refer to themselves as Drukpa people. Ethnic groups: Bhutan has three main ethnic groups, Sharchops, Ngalongs (50%) and Lhotsampas, one of several Nepalese ethnic groups (35%), indigenous or migrant tribes 15%. Religions: The tantric form of Mahayana Bhuddhism (Drukpa Kagyupa) is state religion, Indian- and Nepalese-influenced Hinduism 25%. 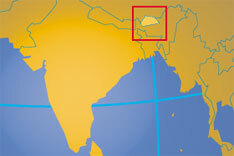 Languages: Dzongka (official language), English (medium of instruction), Tshanglakha, Lhotsamkha ( Nepali) and Khenkha, Sharchop. Literacy: 54% (est.). Women's literacy (est.)--20%. Natural resources: Hydroelectric power, timber, gypsum, calcium carbide. Agriculture products: Rice, corn, root crops, citrus, foodgrains; dairy products, eggs. Industries: Cement, wood products, processed fruits, alcoholic beverages, calcium carbide. Source: Government of Bhutan and others. The Government's Official Web Portal. Official website of Bhutan's National Assembly. 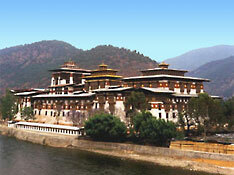 Official site of the ministry provides information on Bhutan's trade and industry. Official Tourist Information for Bhutan. Administrative and Political map of Bhutan. Searchable map and satellite view of Bhutan. Searchable map and satellite view of Bhutan's capital city. Tashichho Dzong in Thimphu, the Buddhist monastery and fortress is the seat of the Druk Desi, the head of Bhutan's civil government since 1952. Bhutan's first private online newsmagazine featuring web-based news, views, opinions and articles on Bhutan. Bhutan's autonomous daily and only regular newspaper. National Radio & TV provides online news on Bhutan. The Thongdrel (a large Thangka) with Guru Rinpoche (Padmasambhava - lit. "Lotus-Born") unfolded at the Gomphu Kora Tshechu Festival in Eastern Bhutan. Comprehensive site about archery, the national sport of Bhutan. One of Bhutan's Centers of Scriptual Heritage. Temple with prayer wheel in Samdrup Jonkhar, a town located at the south-eastern part of Bhutan, it borders the Indian state of Assam. Official website of the chamber. 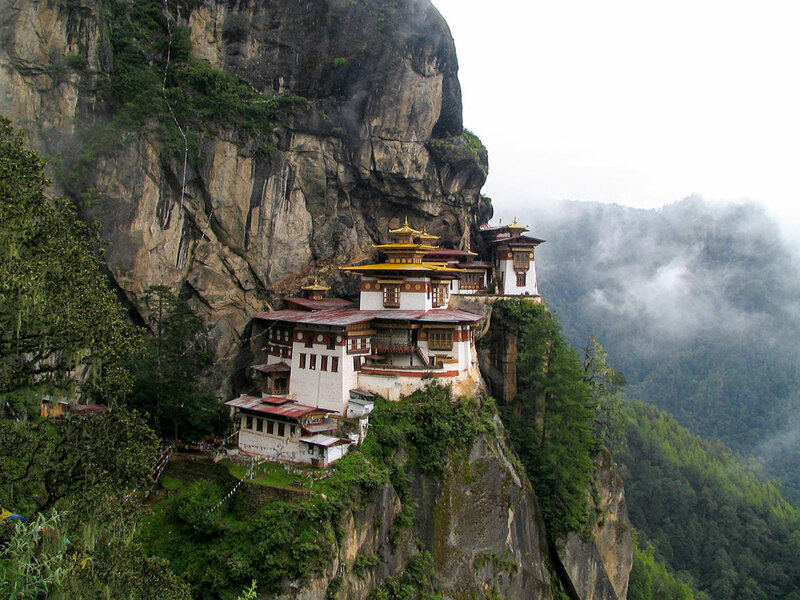 Taktsang Palphug Monastery, the Tiger's Nest, the temple complex in the cliffside of the upper Paro valley is a famous Himalayan Buddhist sacred site in Bhutan. Discover the "Land of the Thunder Dragon": Bumthang, Mongar, Paro, Phunetsholing, Trongsa, Thimphu, chortens, dzongs, gompas, thangkas, traditional medicine, wildlife sanctuaries. Find accommodation, hotels, attractions, festivals, events, tourist boards, hiking, climbing, birding, adventure tours and much more. Another non-official Bhutan Home Page. Phil's All Embracing Bhutan Slide Show. Tour operator for cultural and trekking tours. 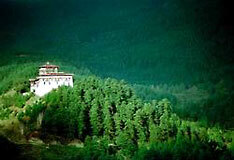 Your door to Bhutan for a memorable experience. 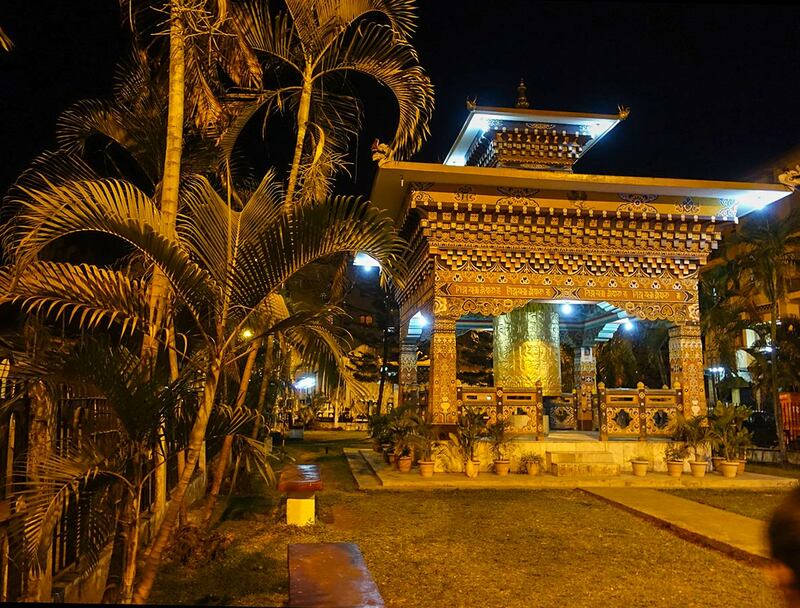 Bhutan tourism and travel information including Bhutan visa requirements, festivals, treks, hotels and transport in the magical Kingdom of Bhutan. The pioneer travel organization of Bhutan with visitor information, travel arrangements and more. 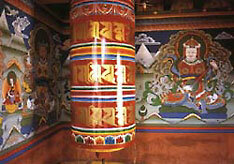 Offers cultural tours and trekking to Bhutan. Also contains travel tips and country information. Aiming to promote healthy tourism in Bhutan. A Mani Wheel, part of Buddhist belief. Autonomous research institute dedicated towards promoting research and scholarship on Bhutan; provides academic research papers on Bhutan. Offers training in Civil and Electrical Engineering. The first university in Bhutan founded in 2003. WWF conservation work in Bhutan. Wikipedia page about the history of Bhutan. Facts about Bhutan with a history section.